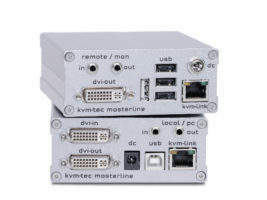 kvm-tec electronic is the Austrian developer and manufacturer for KVM extenders and switching systems for control centres. The company’s products have a failure rate of less than 0.10%, and its patented technology enables high-resolution video transmission in real-time with standard CAT 5 cables. 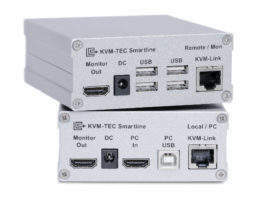 kvm-tec’s extenders offer the shortest mouse-to-monitor latency on the market, feature a cost-effective, compact design and transparent USB 2.0 slots, and cover large distances using a single cable. 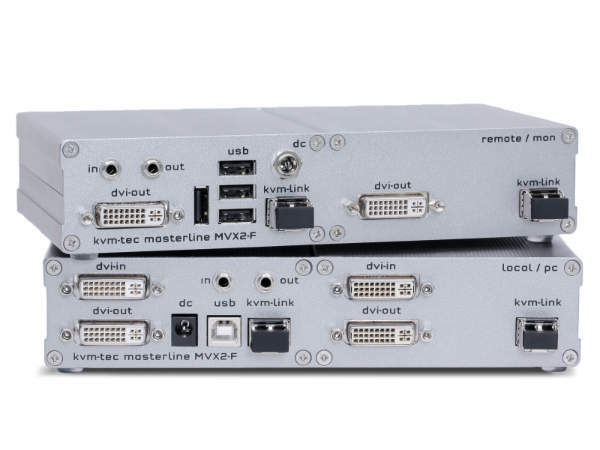 The kvm-tec MASTERLINE extender from kvm-tec guarantees stability and reliability for air traffic controllers’ workstations. The system is compatible with modern signals, such as digital visual interface (DVI) and USB, and offers complete lossless transmission over 500m. Memory sticks and USB hard drives can be installed by the customer, as well as be deactivated for security reasons. 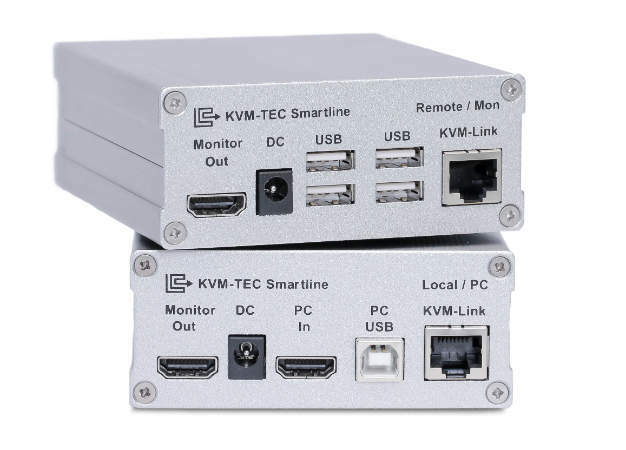 kvm-tec’s SMARTLINE extender runs on USB and DVI signals, as well as offers 150m coverage and plug-and-play installation. The cost-efficient system only requires a CAT 5 / 6 / 7 cable. The company’s PROFILINE extender provides digital sound and an internal power supply. Systems transmit data in high-definition (HD) via a single CAT X cable to enhance ergonomics and display clarity for workstations. 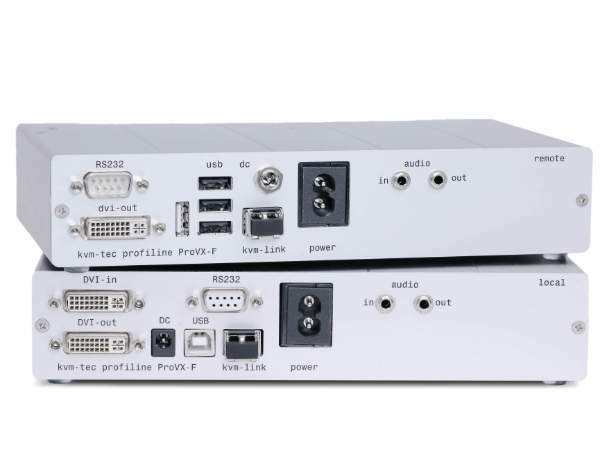 The extenders feature transparent USB 2.0 slots, and are also quiet, making them suitable for traffic control centres with a large number of PCs and monitors. 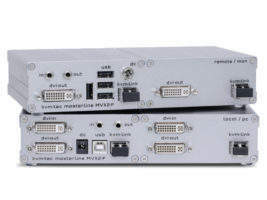 kvm-tec’s extenders reconstruct 24-bit images on monitors, and feature a specially developed lossless video codec that enables HD videos to play in real-time. The systems minimise delays from PC to monitor, achieving a latency of 5ms in order to provide audio-visual synchronisation and no noticeable pauses when using a mouse. The extenders allow users to watch full HD videos while copying data to and from a USB stick, without affecting performance. kvm-tec has decades of experience designing devices for consistent 24/7 operation, driving explosion prevention, and applications in operating theatres and intensive care stations. 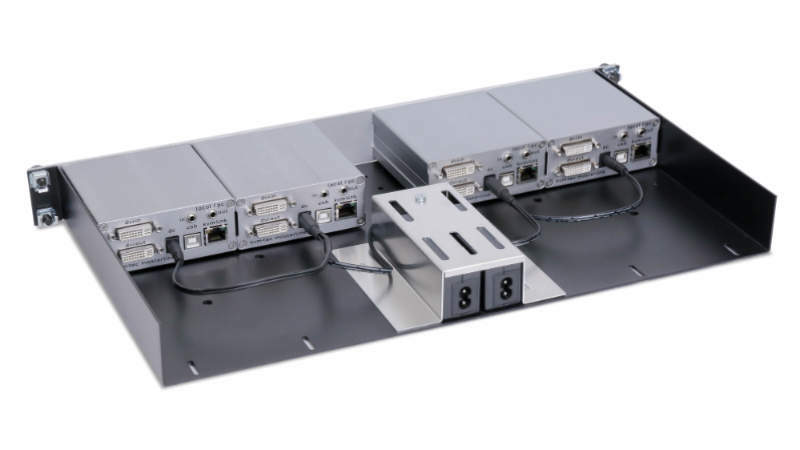 The company’s KVM extenders feature a high-speed USB hub that is compatible with a variety of devices, including tablets, touchscreens, sound modules, printers, smartcard readers and serial adaptors. Up to three further hubs may be connected to the system. USB and video data are transmitted over a single CAT 5 / 6 / 7 cable, which can cover a distance of 150m. The company also offers a fibre-optic cable with a range of 500m, and interchangeable small form-factor pluggable (SFP) modules that increase this distance to 100km. Bi-directional modules can also be used so only a single fibre-optic cable is required. kvm-tec’s products feature a compact and cost-efficient multi-layer printed circuit board (PCB). The affordable systems can be used to replace analogue extenders, which may not be compatible with current technology. 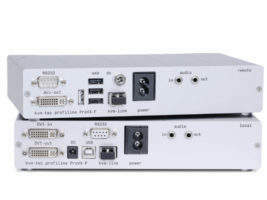 Extenders can be placed in the kvm-tec MATRIX SWITCH, a switching matrix with up to 24 monitors and 24 PCs, using standard over-the-counter network switches. Switching from one PC to another occurs instantly with the press of a button. The matrix is also easy to set-up. The solution can be configured with a user / password system, controlled via external access to ensure security, and accommodates workstations with multiple monitors. If your computer setup includes a PC in reserve, the extender can switch to it automatically if the primary PC goes down. Low-voltage differential signalling systems (LVDS) allow extenders to integrate with monitors and directly control the thin-film-transistor (TFT) panel over an LVDS interface, enabling the construction of compact devices. The cost-efficient LVDS is used for a range of digital signage applications in airports, shops and point-of-sale (POS) systems. Manufacturers of POS terminals can incorporate LVDS components into their products, creating a universal, compact, and reliable terminal. The integrated LVDS option enables improved access protection using radio frequency identification (RIFD) for closed-off security zones. The system enables the use of a contactless chip card for employee identification, and a camera to allow secure communication. Founded in 1978 by Dietmar Pfurtscheller in Austria, kvm-tec has become a market leader in the electronics sector and focuses on creating highly refined electronic designs at unbeatable prices. The dedicated team at kvm-tec focuses on training, support and personal contact with its distributors, which market the company’s extenders worldwide. kvm-tec has partnered with companies with the highest quality standards in a range of industries, including air traffic, automations and medical engineering. In 2016, kvm-tec founded kvm-tec Inc in California to support US customers directly. This year we will finish our new kvm-tec homebase but that's not all - we will also have some new features and products ready for the KVM market. When thinking of smart connections by kvm-tec in the future, perhaps you will think of Julia and Jürgen, who enjoy their role in selling and guarantee a pleasant voice at the other end of the phone. Alexander is the technology hero from kvm-tec who, as a development engineer, ensures that a clever switching system has even cleverer technical features. 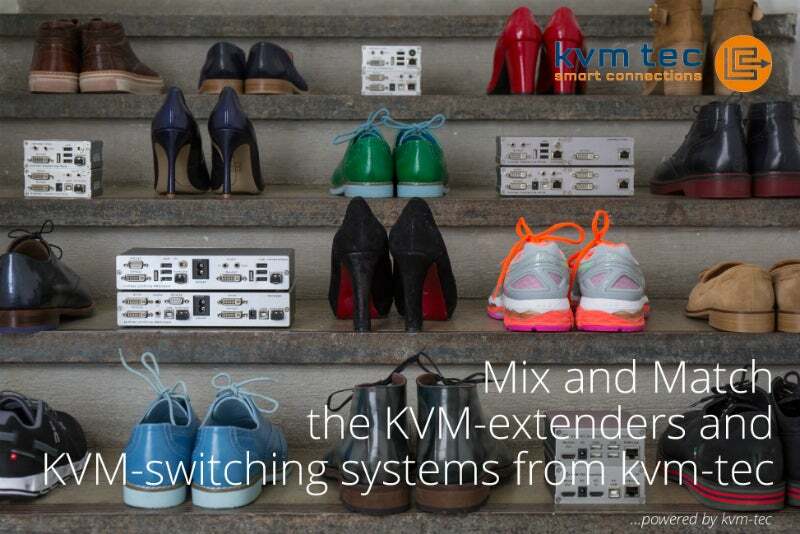 kvm-tec offers an intelligent software solution for managing all KVM extenders connected in a Matrix Switching System with up to 480 endpoints. kvm-tec, the Austrian designer and manufacturer of KVM extenders and matrix switching systems, along with the kvm-tec branch office in Los Angeles, will be exhibiting the kvm-tec products with perfect video compression and an unbeatable price at the NAB booth SL 14505.
kvm-tec, the innovative developer and manufacturer of KVM extenders and matrix switching systems, has been implementing their proprietary, compression method for perfect video for years. The groundbreaking ceremony on 25 January 2017 signifies the first step towards kvm-tec's new 'homebase'. 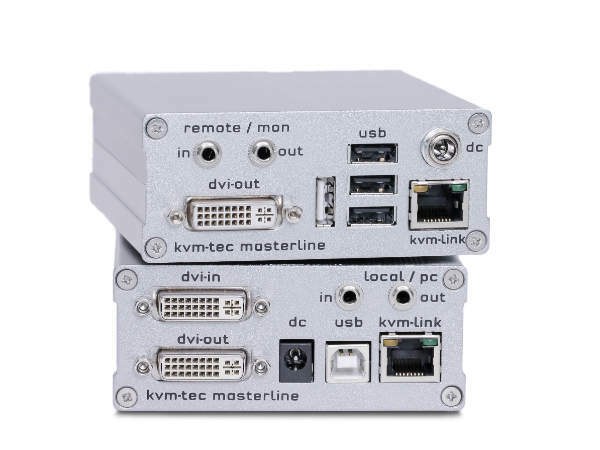 kvm-tec is the Austrian developer and manufacturer of KVM extenders and MATRIX switching systems, which are exported worldwide. Where is the most laid-back team at the ISE Amsterdam, from 7 to 10 February? The matrix switches are the new high-flyers in the kvm-tec product range and don't just have innovative features, but also a low price. What's new in these high-flyers? Please welcome CEO Don Hosmer as your new US-based source of kvm-tec equipment in North America and Latin America.